Breathing new life into a familiar profile, the Ilena sofa is everyday classic—with a casually cool attitude. In lieu of traditional back cushions you’ll find a bevy of designer pillows for a more relaxed sensibility, while UltraPlush seat cushions offer optimal comfort. 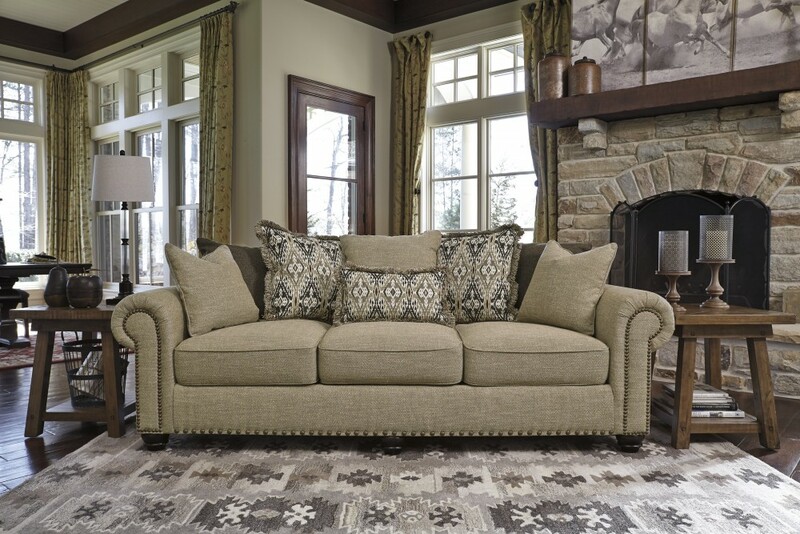 Nailhead trim punctuating the sofa’s rim and rolled arms are richly tailored touches. 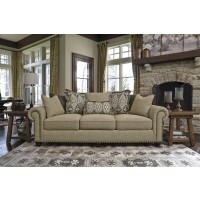 Upholstery’s wide herringbone weave is sure to please those who appreciate a neutral hue loaded with visual texture.